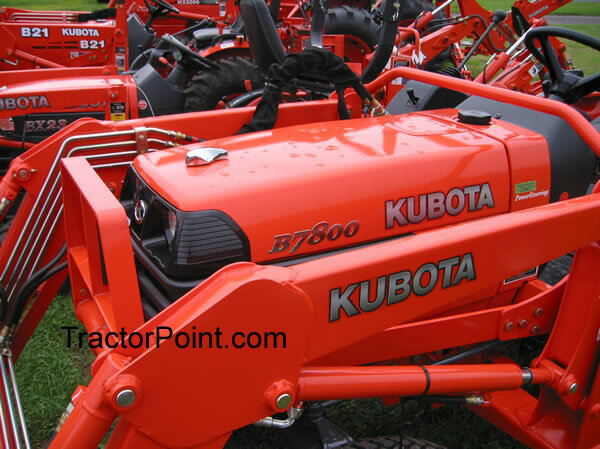 The 2004 B7800 continues Kubotas strategy of offering economy versions of their Deluxe models such as the B2410, B2710 / B2910. These economy offerings allow Kubota to position itself as a cheaper alternative to the competition, by removing features that many consumers may not need. Note the round headlights, these look like sealed beam lights from a distance, however closer inspection reveals that they have a relatively low wattage tail light bulb for the light source. This is rated as an economy tractor so perhaps this is one of the areas that aids in lowering the price point. In contrast the "D" models of New Holland offer powerful halogen headlights, while the Deere 4XXX series also does. 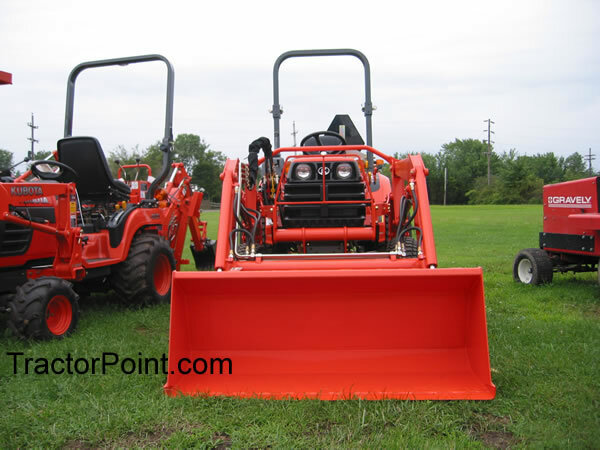 The bucket below is on the Kubota 402 loader and comes with the pictured grill guard. The loader joystick stays on the tractor and you can just make it out in the picture up high by the steering column. Parked next to the B7800 is a B23, note how the total rops height is almost identical in this picture. The B7800 remains one of the few compact tractors that sports a steel hood cover. Most manufacturers have migrated to Fiberglass hood designs. There are pros and cons in the "fiberglass" versus "steel" debate. Fiberglass stands up better to moisture, cannot chip or peel, also it can be formed to allow for better visibility for mower and front loader use. On the steel side if a rock hits it will dent, whereas the fiberglass will crack or fracture. 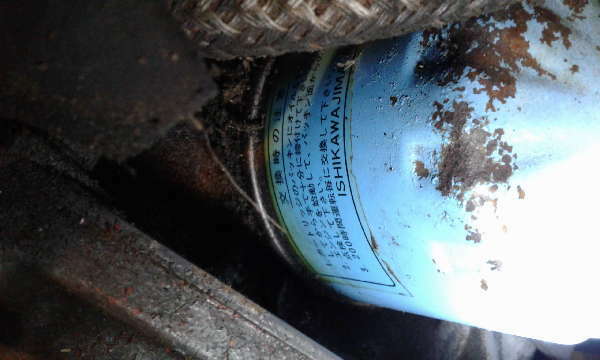 Note how flat the hood is and the location of the fuel filler cap positioned under the loader cross support. When refueling your tractor with the loader installed the loader crossbar is close to the filler cap. If you are accustomed to using a funnel to fill your tractor you may need to use a can with a spout, a flexible funnel or a syhon to more easily refuel your tractor.